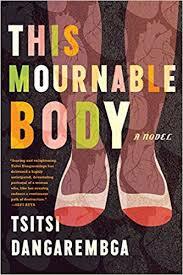 In “This Mournable Body”, Tsitsi Dangarembga returns to the protagonist of her acclaimed first novel, “Nervous Conditions”, to examine how the hope and potential of a young girl and a fledgling nation can sour over time and become a bitter and floundering struggle for survival. Anxious about her prospects after leaving a stagnant job, Tambudzai finds herself living in a run-down youth hostel in downtown Harare. For reasons that include her grim financial prospects and her age, she moves to a widow’s boarding house and eventually finds work as a biology teacher. But at every turn in her attempt to make a life for herself, she is faced with a fresh humiliation, until the painful contrast between the future she imagined and her daily reality ultimately drives her to a breaking point. As a last resort, Tambudzai takes an ecotourism job that forces her to return to her parents’ impoverished homestead. This homecoming, in Dangarembga’s tense and psychologically charged novel, culminates in an act of betrayal, revealing just how toxic the combination of colonialism and capitalism can be. 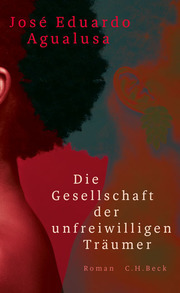 Tsitsi Dangarembga is the author of the classic "Nervous Conditions" and curator of the African Book Festival Berlin 2019.